Hey you guys welcome to my first book! 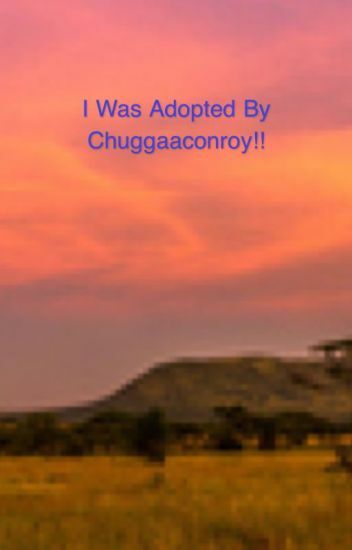 That's right it's a Chuggaaconroy fanfic! Hope you all enjoy! I always had an ordinary family. A mom, a dad, and an older brother. My brother then moved out to live on his own with his Youtube career. I stayed home since I was still 10. My mom then got in a car accident and I lost her. My dad couldn't control himself no matter how much he tried. I even tried to help but it didn't end to well. This is made up from Chuggaaconroy's Animal Crossing New Leaf and Welcome Ambiibo LP. In the second episode of Chugga's Welcome Ambiibo LP he starts to talk about Molly having feelings for him. Molly just adds to this theory. So I have decided to put the puzzle together and make a fanfic for Chugga. Every type of Chuggaaconroy thing possible, not exactly a romantic fan fiction. For starters, I wrote this book three years ago, so the writing, spelling and the layout is pretty obnoxious. Brayden, a 15 year old who is cast out for liking games and YouTube instead of sports at his adoption center. One day, he hears that his favorite YouTuber, Chuggaaconroy is coming over to adopt someone. What will happen to Brayden?